ID Cards | KEIT ltd.
Documents’ fraud can have a huge impact on a country’s national security and economy. In order to assist governments to make more secure ID cards and driving licenses KEIT has developed various security solutions and security features. KEIT offers manual and automatic machines for ID card personalization and that include laser perforation and/or laser engraving. 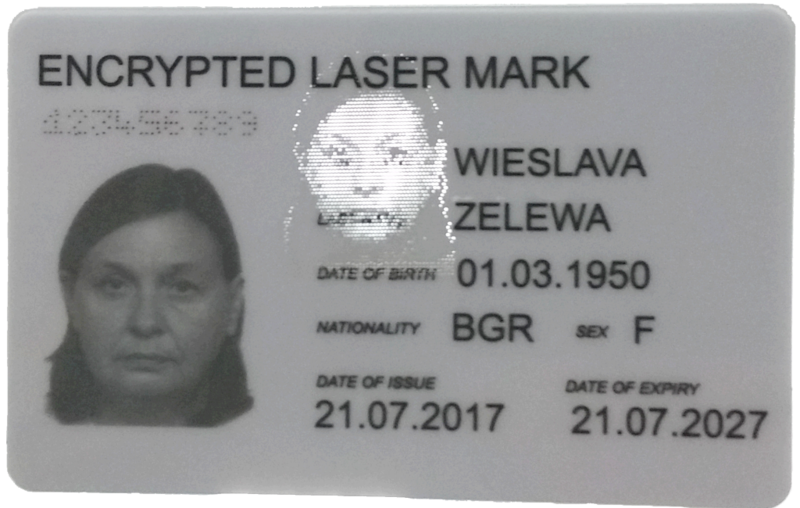 Combining face image perforation and our patented solution encrypted marking we can provide our customers with one of the most secure security solutions for documents all over the world – encrypted face image. Such solution is implemented in Cyprus passports together with Bundesdruckerei – Germany. We can further increase the security of the ID cards with our security feature code of material. Passport and ID card laser perforation machine.